I’ve been working with my colleagues at the Cancer Patient Education Network to build a social media toolkit to give our members evidence-based and practical guidelines for being active on social media. Part of building a toolkit that meets their needs was asking members about the needs and barriers they experience through an online questionnaire. I’ll be presenting the results in a poster presentation on Friday, September 21 at the International Cancer Education Conference in Ann Arbor, Michigan, but I thought I’d give my followers a sneak preview. Read the text-only version here. Download or view the formatted poster here. The meat of the poster is in the table at the bottom, Figure 3. 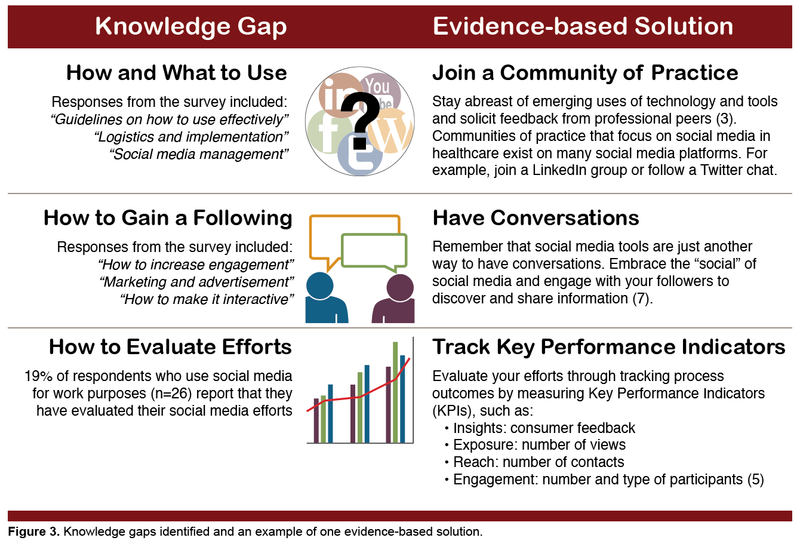 The table shows the barrier (in particular, the knowledge gaps) that were identified in the questionnaire, and provides one evidence-based solution that could help minimize the barrier. This table will be the first draft of the toolkit. After nearly a year of planning, I’m happy to see it start coming together.